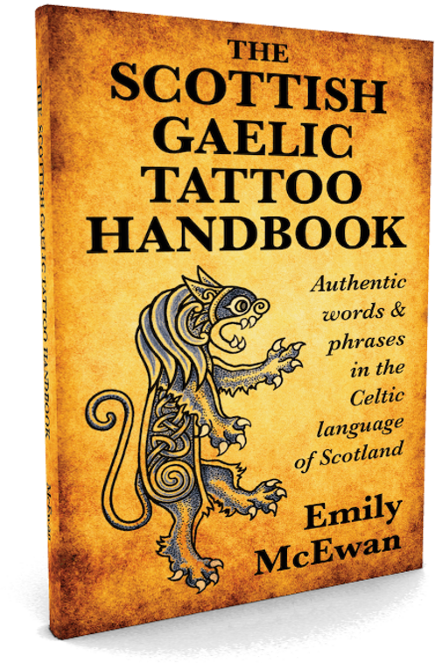 I am proud to have been commissioned to design the covers for this book - a guide to authentic words and phrases suitable for tattoos, in the Celtic Language of Scotland. 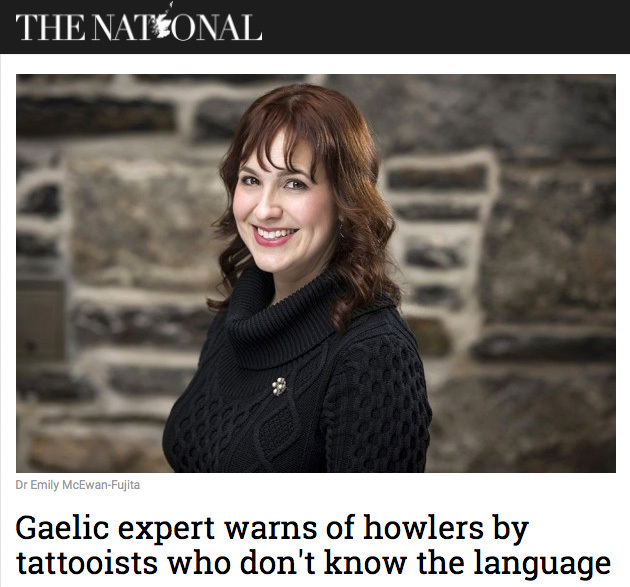 Author Dr. Emily McEwan-Fujita and the new book were recently featured in an article in the Scottish publication, The National. 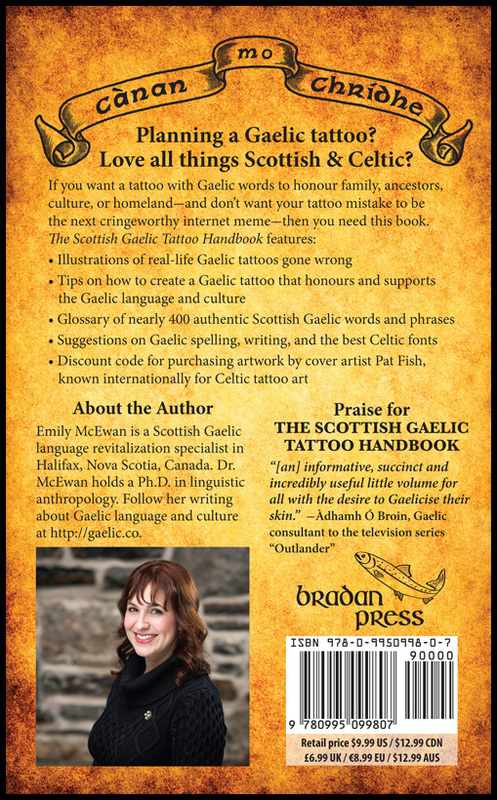 "This new book will help you to avoid common and embarrassing mistakes as you choose a Gaelic word or phrase.